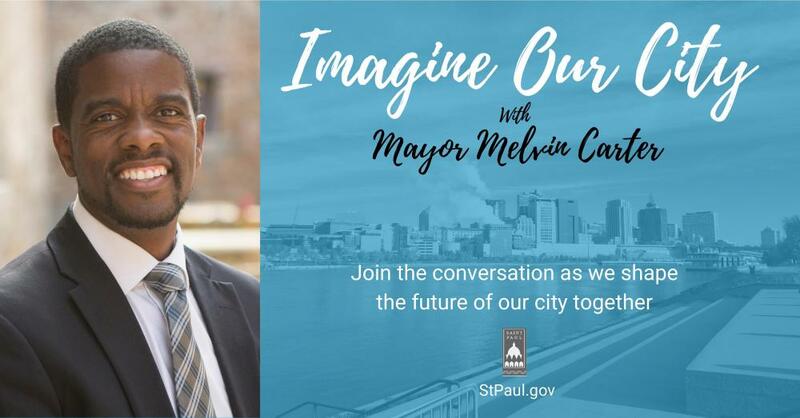 SAINT PAUL, MN - Today, Mayor Melvin Carter announced a series of 7 community conversations called “Imagine Our City” to be held in February, ahead of the State of Our City Summit in March. Residents are encouraged to join these community conversations to offer their perspectives on the opportunities and challenges they face. Serve Saint Paul, an initiative to connect residents to civic volunteering opportunities to serve their community. The newly established Office of Financial Empowerment, which will enhance community wealth building by connecting residents to financial resources and services, leading the work of the College Savings Account Program, and driving fair housing policies. Free tax preparation and support from local providers to assist residents in determining tax credit eligibility and filing.